With the first spring-time mountain hikes the ski season moves seamlessly into the summer holiday season. The spring thaw clears the 650 kilometres of hiking tracks, 266 kilometres of jogging and Nordic walking trails and the 570 kilometres of routes for cycling, e-biking and mountain biking. Lovers of other sports, such as climbing, golf, horse-riding, paragliding and tennis, can also enjoy a wide range of options amidst a health-boosting, high-altitude setting 1,200 metres above sea level. 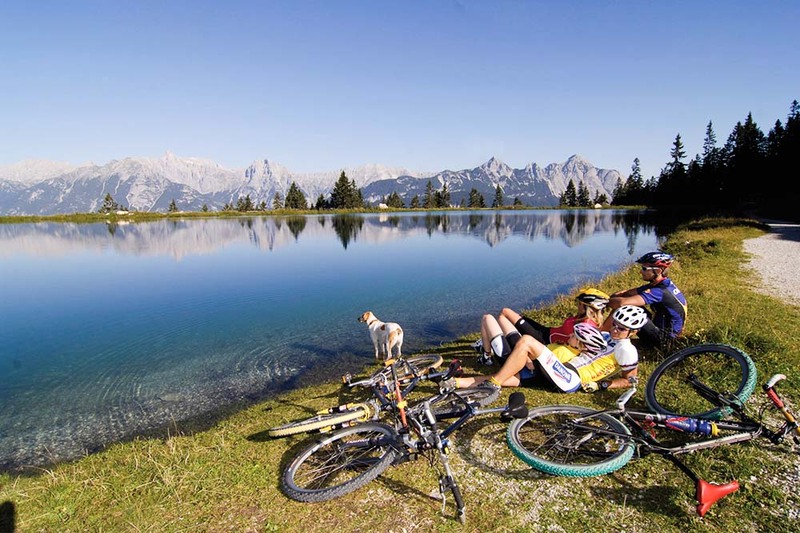 From end of May until beginning of October the summer programme ‘Discover the Olympiaregion Seefeld – the great outdoors is waiting for YOU!’ offers a multifaceted weekly schedule of activities. Sixteen different guided hikes, bike tours and nature experiences offer visitors a fascinating, in-depth insight into the diversity of this alpine region. One-of-its-kind in the Alps is the region’s vast network of clearly signposted walking and hiking trails that hold the coveted seal of quality awarded by the Tyrolean provincial government. A further unique highlight is offered by the wide, spacious Promenade Walking Trails, which guarantee an unforgettable close-to-nature experience for all guests, young and old, against a stunningly scenic backdrop. The unparalleled mountain-plateau setting and the gently undulating terrain make it easy for holiday guests to explore their alpine surroundings without having to undertake strenuous uphill climbs first. The Promenade Walking Trails enable families with pushchairs, mountain bikers and hikers of all ages to enjoy the region in all its fascinating beauty during an easy-going hike or a leisurely stroll. Numerous themed walking trails and tracks, such as the Mental Power Trail and the Geo Trail offer visitors a fascinating and informative insight into the region’s unique natural and cultural assets. Around sixty rustic mountain huts provide idyllic settings in which to rest and savour a traditional Tyrolean bite to eat. The area’s natural bathing lakes, such as the Möserer See and Wildsee lakes, offer blissful spots amid untouched natural scenery for relaxing and enjoying a refreshing swim.